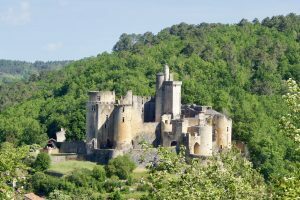 Bonaguil is one of the most striking castles in France, located in the commune of Saint Front, and just a 10 minutes drive over the hills backing on to Le Seguinet. Home to concerts and theatrical presentations throughout summer. Biron is a dramatic hilltop castle, just 15 minutes drive from Le Seguinet. The castle can be seen for miles around and is a highly recommended trip. 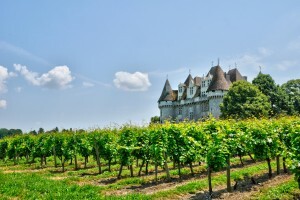 Chateau de Bridoire is a 45 minute drive from us. A visit to the castle provides a fantastic day out for the whole family. Children can take part in medieval games and other activities. Such fun! The beautiful castle of Monbazillac is situated 50 minutes drive from Le Seguinet, overlooking the charming city of Bergerac. 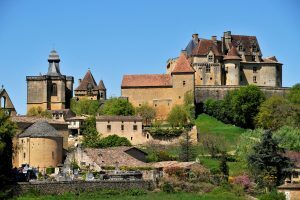 This famous chateau and vineyard is set deep in the heart of the Bergerac wine region and visitors can combine a trip to the castle with ‘degustation’ on site. The fortified medieval bastide towns of southwest France are one of the main attractions of the region. Bastide towns were hastily built in the 13th century by the French and occupying English armies to encourage the settlement of empty areas before the 100 years war. A medieval ‘new town’ designed within a planned grid of streets and fortified perimeters. There are over 300 bastide towns and villages still surviving between Perigord and the Pyrenees. 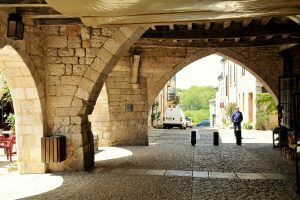 Two villages in Lot-et-Garonne and an impressive ten, in neighbouring Dordogne, have been awarded the prestigious title of ‘Les Plus Beaux Villages de France’, the most beautiful villages of France. It’s worth combining day trips to the region’s historical chateaux with a half-day visit to one of the beautiful bastide towns. We’re happy to help you plan your day trips around Lot-et-Garonne and the Dordogne. Monflanquin is a pretty hilltop village with a central square, a good choice of restaurants, Thursday market and plenty of cultural and historic attractions to keep you busy. Monpazier is one of the villages awarded the prestigious Les Plus Beaux Villages de France. The picturesque medieval village is home to a charming square, with a covered central market. 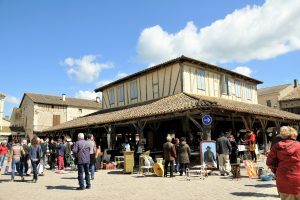 There are also a great selection of restaurants, artisan & antique shops. Sarlat is without doubt, one of the most beautiful towns in the Dordogne, and one of the most visited in France. It’s around an hour’s drive from Le Seguinet. The old town is beautifully constructed, with architecture dating back to medieval and renaissance times. It is also an excellent town for a shopping trip and has a good choice of restaurants. The pretty village of Villereal houses a central covered market square (Saturday market) and has a good choice of restaurants (including in low season). There is also an amazing patisserie just off the market square. You can’t visit without trying the exquisite sweet pastries. We recommend a Sunday visit to the medieval town of Issigeac, which holds the biggest Sunday market in the region. There are also some great restaurants where you can stop off for a spot of lunch. 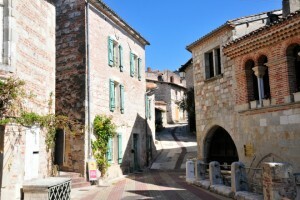 One of our favourite bastide towns is Penne d’Agenais, situated just east of Villeneuve sur Lot. There is an ethereal beauty to this village, with its Basilica monument perched on the hillside. There are several craft shops and some good restaurants. You can climb up through the village to the basilica and explore the remains of the ruined castle, with its stunning views across the Lot Valley.